GoPro Hero4 has Night Photo and Night Lapse capabilities. Check out GoPro still photography on Google and you will see mainly wide-angle daylight shots in full sunlight. Long exposure night photography was not a strong point for GoPro until now. The GoPro Hero4 has a night photo setting with exposures up to 30 seconds. In addition, there is Night Lapse for low light time lapse video. These options take GoPro beyond the fully automatic point-and-shoot mode and closer to the manual settings available in a DSLR. Using these features takes some getting used to and excellent information about Night Photo and Night Lapse is available on line. The tripod mount and quick release plate will attach GoPro on HandlePod. But to use these settings, one thing that is absolutely essential is camera stabilization. A tripod is the typical device used for long exposures. But nobody wants to carry a full size tripod to support a tiny GoPro. That’s where HandlePod comes in. A GoPro tripod mount will attach GoPro to HandlePod and open up all the camera stabilization advantages that HandlePod offers. HandlePod is simple to use. Just slap it against any available solid support, hold it in place with a steady hand and shoot. GoPro low light exposures of two to thirty seconds are instantly available and the support is rock solid—no camera shake. It is perfect for traffic trails and motion capture. As with all long exposures, avoid touching the camera. It is best to use a wifi remote or GoPro App to fire the shutter. Time lapse video also requires camera stabilization, often for long periods of time. In this case the camera mount should be self supporting rather than held in place by hand. Here again, HandlePod does the job. The elastic cord will attach it to many supports, even large ones with a circumference up to forty inches around. Securing the HandlePod and GoPro in place is fast and easy on poles, railings trees, anything available. And it is self supporting on a level surface just like a minipod. 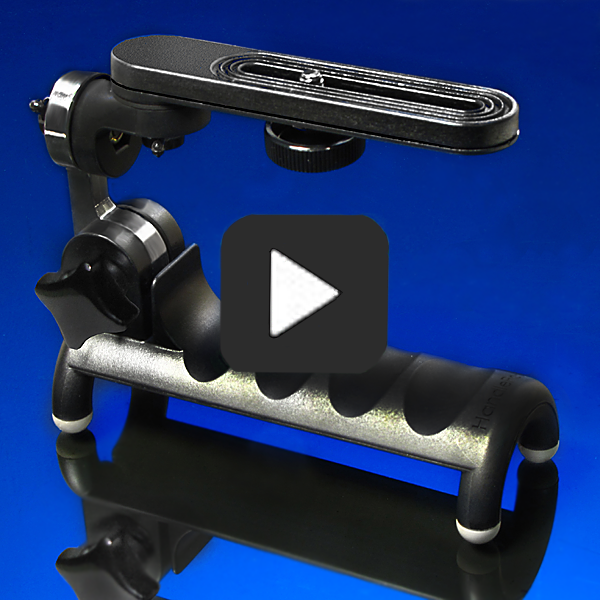 Secure the HandlePod in place and run the time lapse for any desired length. HandlePod is a versatile support for that offers important advantages above the many different accessories available for GoPro. When you need camera stabilization for long exposure night photos and time lapse, consider HandlePod as a must-have GoPro accessory. This entry was posted in Tripod Alternative on March 25, 2015 by main user.